or to give its full name: Urban Flowers creating abundance in a small city garden. I was asked if I would like to review this book and I happily said yes. 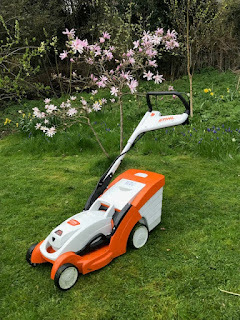 Whilst I currently have a fair-sized garden for an urban environment I have lived with much smaller gardens in cities/large towns for most of my life. There are lots of books written about gardening small spaces, but this one offers far more than most. This book packs a lot of information into not that big a book. Carolyn begins by talking about her own gardening origins which is a really nice touch. There is something about the gardens we have grown up in, they are part of what has shaped us whether they be grand, small, a backyard or a balcony. Carolyn quickly takes us onto to look at how planting in the urban environment matters and how to evaluate our own urban environments. The book takes us through gardening basics such as understanding our soil. I like Carolyn's descriptions of soils as they are easy to understand and not too complicated. There are also good descriptions of perennials, bulbs, tubers and annuals etc. Carolyn makes no assumptions as to level of knowledge and also does not patronise; this is very welcome. There are boxes in the text of hints and tips, such as buying potting compost and these are good common sense tips. The book works when discussing small spaces. It is a frequent bug-bear with books that claim to cater for small gardens as to how small is small? Carolyn describes working with really quite small areas. Many of the projects Carolyn discusses involve containers of all different shapes and sizes. Some are as simple as what you can place on a table or hang from a wall. There is a real feeling that there is something you can plant where-ever you are living. There are chapters about different styles of gardens. The photographs by Jason Ingram complement the text perfectly and add to the inspiration. Just when you think what is left to talk about in the book, Carolyn takes us into different colour combinations and gives us examples of plants we might like to try. There are also small projects that can be used to enhance very small spaces. I liked this book a lot. I was amazed at the amount of good information and advice that was packed into it. 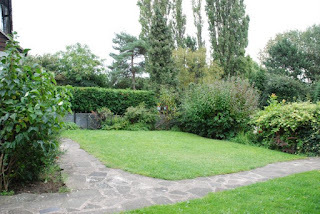 If you have a new garden it would extremely useful and for the more experienced it gives good advice and ideas. 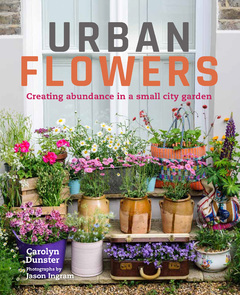 Urban Flowers is published by Frances Lincoln. Yes it is - it covers its subject in some depth. I bought some cleomes last year and the self-seeded this year, so I got to enjoy them yet again. They are cool and weird and just plain beautiful.